That one is classic. And ongoing on oh so many sites that try to use their insecure templates on their secured Web pages. Is Your Application-User Interaction Like Bad Customer Support? When JasonS. alerted me to this story, I immediately thought about how I see similar attitudes when dealing with software releases and excuses for not fixing defects. Unless, of course, it’s a vocal user who then speaks up about problems he or she has and that others probably encounter. Then the value of your application drops in all users’ eyes as the Internet clogs with stories of YourApplicationSucks.com. Your application and its interface are customer service and support. Think about the worst phone tree you endured to make something right or the worst bunch of “dropped” calls and runarounds you got that didn’t make something right. Is that your application in your users’ eyes? Posted in Miscellany | Comments Off on Is Your Application-User Interaction Like Bad Customer Support? Kid punk bands are so cute, thinking that the twenty-two years of their lifetimes comprise any sort of long-time noun. Football’s big game is coming to the small screen. For the first time ever the Super Bowl, along with some postseason NFL games, will be streamed online and through the league’s mobile apps, the NFL and partner Verizon Wireless announced Tuesday. So what’s going to happen to your sites and applications when third party Internet calls start timing out because the whole Internet is going to be running at half speed? Car manufacturer Jaguar has had to recall nearly 18,000 of its X-Type cars after a serious software bug has been identified in the on-board system of the vehicle. The bug potentially stops a driver from turning off the cruise control system, which is more than a little dangerous. Yeah, I know it’s an old story, but it took me a couple months after seeing the story to see again the advertisement it reminded me of. Ford sells computers-on-wheels. McKinsey hawks consulting-in-a-box. 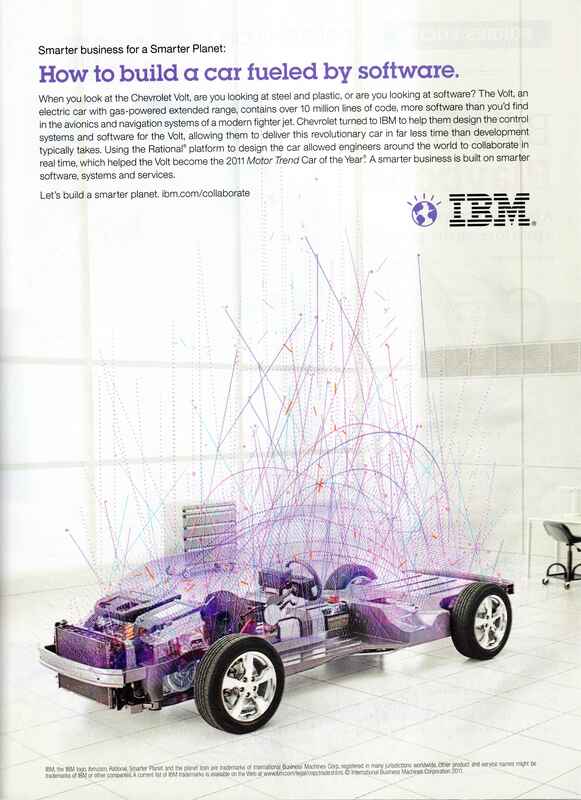 FedEx boasts a developer skunkworks. The era of separating traditional industries and technology industries is over—and those who fail to adapt right now will soon find themselves obsolete. On one hand, hey, job opportunities if every company is a good software company and hires some QA people. On the other hand, the whole world is going to become even more buggy than it is now. And for today’s testing exercise: Is QA more like the poet-narrator of the song or more like the snitch? So I was playing Rampage World Tour on the PlayStation 2 because I am 15 years behind in my gaming. What? 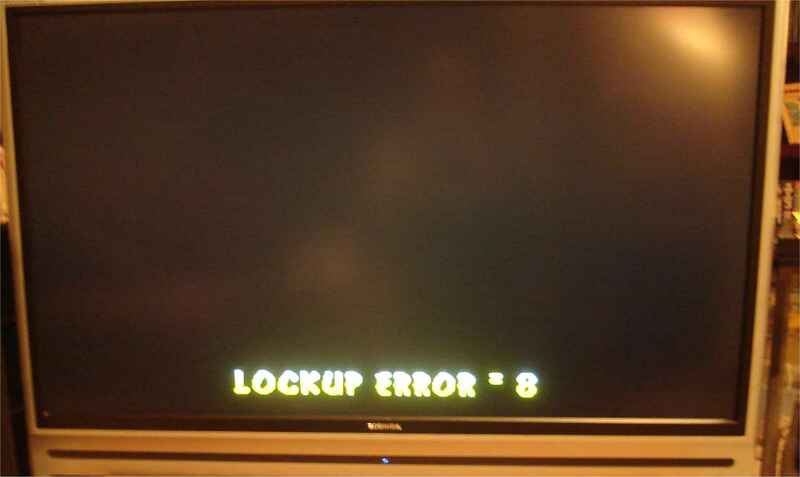 There are other lockup errors one can find? I’ll have to try them to collect them all! Here’s a good post on problems with estimates: 8 Reasons Why the Estimates Are Too Low. Building the estimate based on the deadline or budget. Starting with the client’s budget or required go-live date, the estimate is put together to reflect how that number of hours or days will be spent. The estimate is not, therefore, based on any earnest guess at actual effort on the tasks at hand. We’ve all been in on one of those projects. Microsoft today said it will silently upgrade Internet Explorer (IE) starting next month, arguing that taking the responsibility out of the hands of users will keep the Web safer. Microsoft’s scheme differs from either Mozilla’s or Google’s, however, in that the company will let enterprises retain control of upgrades. This means that all those corporate networks who are still running 10-year-old applications custom-crafted to work with IE 6 will still keep their desktops running IE 6, and all their employees who browse from work will still use IE 6 to visit your sites. Nor will it force updates on consumers who have already declined earlier offers to abandon an older IE. So people who have explicitly opted out of upgrading that one time several years ago when they didn’t read what they were clicking, they won’t get the upgrade, either. And Roberta, out there surfing the Internet on a machine that does not support the new gimcracks and gee-gaws like IE 9? She’ll still be tooling along on IE 6. So, ultimately, what does it mean? Well, it means Microsoft got into the news again. Good job, PR staff! Don’t base your test strategies and your compatibility matrices on press releases or Microsoft blog posts. Are You the Eight Million Dollar Project or the Twenty Dollar Fan? A toothpaste factory had a problem: they sometimes shipped empty boxes, without the tube inside. This was due to the way the production line was set up, and people with experience in designing production lines will tell you how difficult it is to have everything happen with timings so precise that every single unit coming out of it is perfect 100% of the time. Small variations in the environment (which can not be controlled in a cost-effective fashion) mean you must have quality assurance checks smartly distributed across the line so that customers all the way down to the supermarket don’t get angry and buy another product instead. It turns out, the number of defects picked up by the scales was 0 after three weeks of production use. It should have been picking up at least a dozen a day, so maybe there was something wrong with the report. He filed a bug against it, and after some investigation, the engineers come back saying the report was actually correct. The scales really weren’t picking up any defects, because all boxes that got to that point in the conveyor belt were good. Puzzled, the CEO travels down to the factory, and walks up to the part of the line where the precision scales were installed. A few feet before the scale, there was a $20 desk fan, blowing the empty boxes off of the belt and into a trash bin. “Oh, that,” says one of the workers “one of the guys put it there ’cause he was tired of having to walk over every time the bell rang”!! The person who asks that question often wants a silver bullet answer, some glib response that encapsulates how to improve their quality and process with an elevator pitch. And, in many cases, they get an elevator pitch selling some particular process or methodology that might or might not deliver a significant improvement but will most certainly come at some cost. You’ll get the biggest leaps in quality, productivity, and process by listening to the people who are doing what you do every day, and maybe you’ll be better off listening to them rather than bringing in outsiders who have a Procrustean process that your organization will fit one way or the other. Which is just my way for covering my fumbling answer to the question, which is that some small thing will yield vast improvements, but I don’t know what that small thing is yet. Posted in Best practices | Comments Off on Are You the Eight Million Dollar Project or the Twenty Dollar Fan? It’s both a fairy tale of lies, but you still must go Faster, from Within Temptation’s 2011 album The Unforgiving. The google t-shirts, while not universal, were ubiquitous; you couldn’t walk twenty feet without running into someone in Google-wear. Conversations about relocation tended to center on corporate housing, which sounded well … something between a good room and an apartment. I’ve sat in on a couple of those interviews, with a resume that stretches back over a decade and that still lists technologies like RoboHelp, WinRunner, and OpenVMS in the furthest reaches of ancient history (the 20th Century? How….quaint). You know what else the urchins have highlighted? The fact that I have an English and Philosophy degree, and not a modern 21st century computer science degree like they do. Stop making allusions to Mel Brooks movies and go find Harold and Kumar films. Suffer through them and make some appropriate quips. It’s for your career, so some sacrifice is in order. Remember: If it’s older than Napoleon Dynamite, you might as well be quoting Spencer Tracy. Clash of the Titans and Conan the Barbarian both sucked because those damn kids only know the remakes. Pink Floyd? Hardly. Sublime meaning and musical depth to your future bosses comes from Lady Gaga and the Black Eyed Peas. Put some of that on your iTunes, senior. But lie and say they’re on your Spotify list. Take your hearing aids out. It’s not like you need to hear the questions since you’re just going to tell them about how you want to get CI experience. They don’t have to know you hope the medical benefits include a cochlear implant. Don’t think it’s cool to talk about Dungeons and Dragons. These children have never seen graph paper, even in math class. Don’t tell them about your blog. Anything over 140 characters long is boring, square. Mention reading anything on paper at your own risk. Who amongst us hasn’t been a bad, bad boy? Ozzy Osbourne with "Flying High Again" from the 1981 album Diary of a Madman. You are currently browsing the QA Hates You weblog archives for December, 2011.